The need for individuals with computer animation degrees has continued to grow in the United States, and the job market is more competitive than ever. International students who want to make the most of their educational experience—as well as maintain a competitive resume—should consider finding a computer animation internship. This article identifies the benefits of a computer animation internship, some resources for acquiring such internships, and some prominent companies and the internships they offer international students. International students who have decided to study computer animation will, like most college graduates, face a competitive job market where having held an internship can make all the difference in landing an interview or getting started as an animator in the industry. Computer animation internships really are an important part of what employers look for in potential employees, and international students who want to make the most of their study abroad experience, as well as gain the experience for which employers look (and which they sometimes require). The first part of this article details the extra steps international students will have to go through in order to procure a computer animation internship in the United States, whereas the second part will offer some resources for finding these internships, as well as list some internships offered by prominent names in the industry. International students attempting to secure a computer animation internship during the school year or summer will have more steps to take than a citizen of the United States applying for the same positions. That being the case, wise international students who want to guarantee placement into a computer animation internship should be extra prepared, beginning their search early and remaining persistent. The first step for securing any internship is to acquire proper governmental authorization. The authorization an international student would have acquired to study in the US most likely would not authorize them to hold a paid internship. Therefore, it is important to check with your international student advisor to make sure that you have the ability to work—especially if you will be receiving compensation. Next, an international student should apply for as many different internships that fit their desired criteria as possible. Many students in the United States apply for upwards of 12 internships, and an international student should apply for much more than that if they really want to secure a computer animation internship. Advice from industry insiders is to remain flexible (be willing to travel, take an unpaid internship, etc), apply early and to as many relevant internships as possible, and be diligent in following up on opportunities. When it comes to finding computer animation internships, many schools offer internship opportunities through their program or have developed relationships or affiliations with independent companies. These departments often have information on their websites regarding their internship opportunities and the requirements for applying. 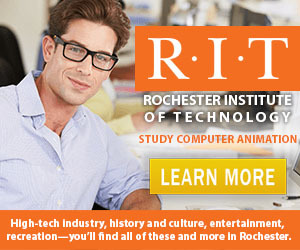 As such, browsing the websites of computer animation programs at institutions in the United States is a great means of finding a computer animation internship opportunity as an international student. However, for students interested in computer animation summer internship opportunities beyond those offered by their hosting institutions, there is another route available. International students can submit their resumes and cover letters directly to businesses and companies with which they would be interested in interning. However, there are federal restrictions that require internships held by international students to be tied to some form of course credit, so international students will need to speak with their academic advisers regarding attaining the proper clearance to do so. These companies will still often consider the resumes of international students, and qualified candidates in whom they are interested can typically work something out with their hosting institution for credit—even though the computer animation internship was not secured through the department. Pixar has an internship available for graduate students or undergraduates who are in at least their junior year. The computer animation summer internship they offer (the details of which are on their website) is a paid position where housing is available. The internship is hosted in Emeryville, CA. An internship with Blizzard would be a dream come true for many computer animation students. Blizzard offers internships through their online database on their website. Microsoft offers paid computer animation internships in all of its eight locations—Seattle, WA; Silicon Valley (San Jose, CA); Boston, MA; Charlotte, NC; Dallas, TX; Fargo, ND; New York, NY; and Washington, D.C. Information on these internships can be found directly on the Microsoft website. These basic reminders and listed computer animation summer internship resources will help international students find the internship that will keep their resume competitive when they enter the job market as animators. Learn more about studying computer animation in the USA by reading our growing article collection. « Study Guide by Subject	« Study Computer Animation in the U.S.
Over time we will be updating this section and including more information for those who want to study computer animation in the USA and for other countries, but please feel free to post your thoughts and comments on our Facebook fan page, and also follow us and post questions through Twitter. Visit the Study in the USA School search to find schools that offer programs of study in Computer Animation.